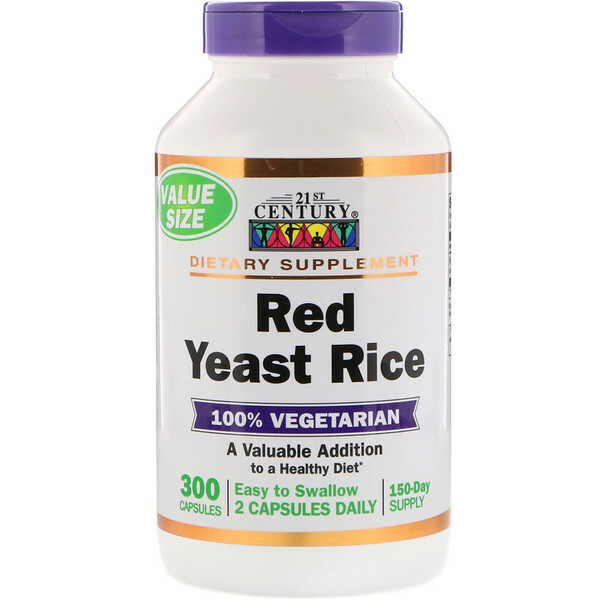 Red Yeast Rice (Monascus purpureus) has been used for centuries in the Chinese diet as a staple food and for its health benefits. 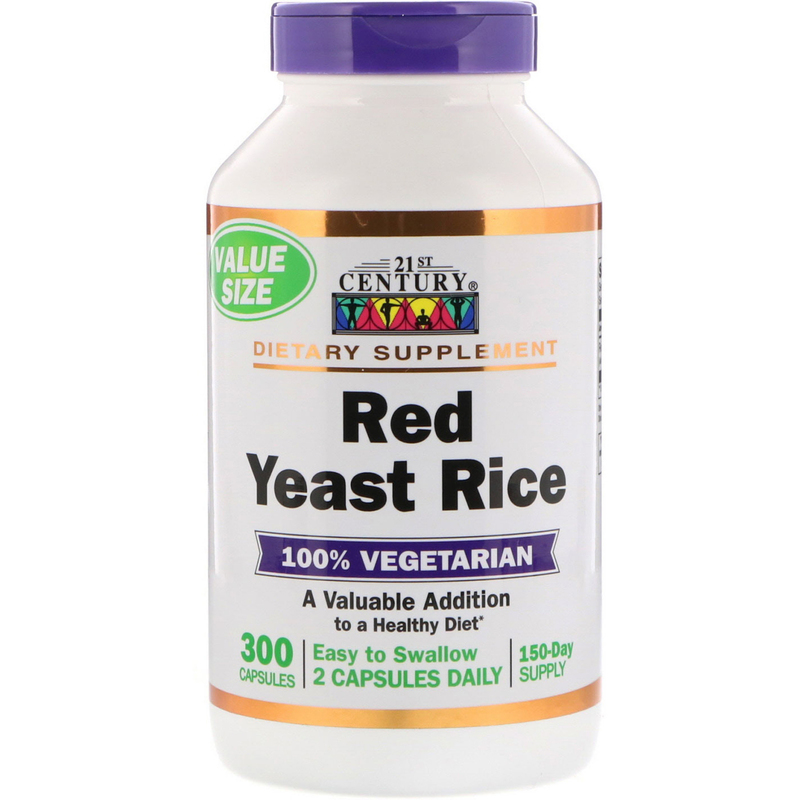 21st Century's Red Yeast Rice has been quality tested to assure maximum benefit. Take one (1) vegetarian capsule twice daily with any meal, or as directed by a health care provider. Do not to exceed four (4) capsules in a 24 hour period. Do not exceed recommended dosage. Vegetable cellulose, maltodextrin, silicon dioxide, magnesium stearate, oat fiber, rice bran. 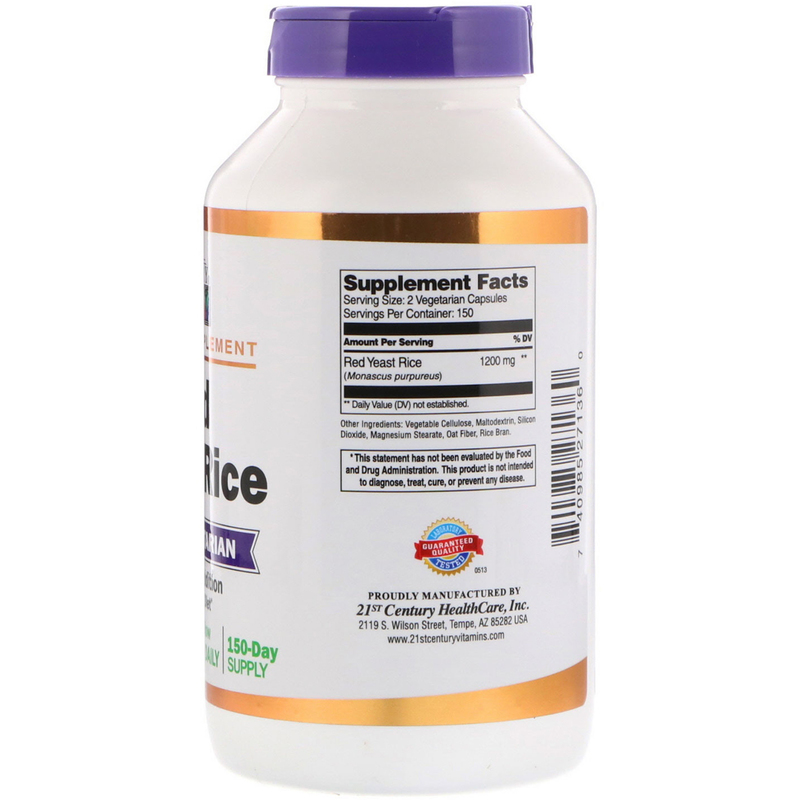 No added sugar, salt, preservatives or artificial flavors. Do not use if you are pregnant, may become pregnant, or are breast feeding, because this product contains a chemical known to harm fetus. If you are taking any medications, consult your doctor before use. Avoid this product if you have liver disease. Discontinue use and consult your doctor if any adverse reactions occur including muscle pain or weakness, rash or gastrointestinal discomfort. Not intended for use by persons under the age of 18.